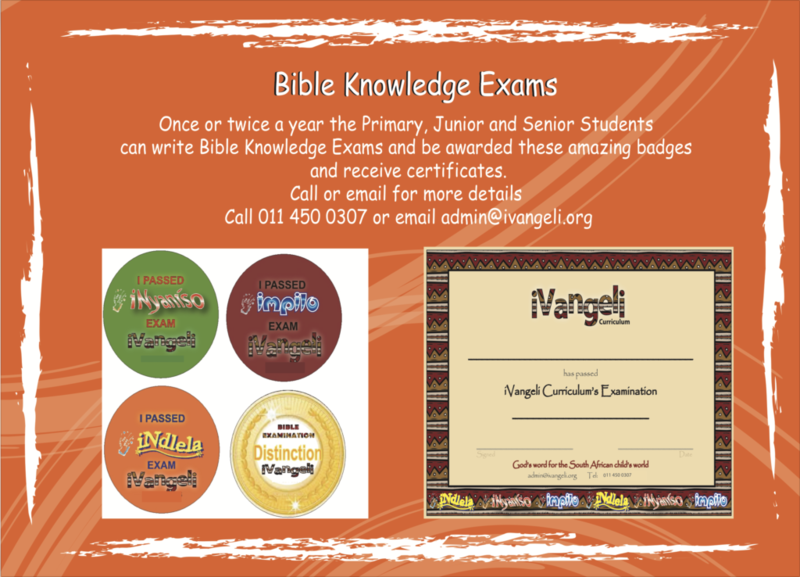 iVangeli Curriculum now has Bible Knowledge Exams for our curriculum. All questions are based on work covered in the Teachers Guides. This is your tool to assess and change your ministry and children’s lives. You will be able to monitor the Bible knowledge of the children. Do they understand the lesson? Do they know memory verses? Are they able to apply the lesson to their lives? You will be able to see if the teachers are able to impart the lesson to the children and correct any problems. Has the teacher understood and prepared well? Does the teacher need assistance and training? If a child does not pass or meet you expectations, there may be a reason. Is the child attending regularly? Is the child disruptive and inattentive? Is there any way the church can help the child or family? Preschoolers will not be tested. 2. The exams are separated into 2 parts and can be written in the middle of the year and towards the end of the year. You can also only write once a year in you prefer. 3. The Cost per student is R10 per set of exams with an additional cost of R100 for postage which includes exams, certificates and badges. 4. Students who pass will receive a certificate and a badge posted to their church. 5. The papers will be marked and passed according to the following conditions. Under 40% will receive a certificate for participation. 40% is a pass. These children will receive a certificate and badge for their specific grade. 80% and over is a pass with distinction. These children will receive a certificate, a pass badge for their specific grade and a yellow badge of distinction.